Home » Blog » Media » How can assessment underpin, not undermine, great teaching? The publication of our ground breaking vision for how assessment can better support great teaching, ‘Testing the Water’ has prompted widespread discussion in the media. In the run up to publication TES published a comment piece from Mary Bousted, joint general secretary of the National Education Union, arguing that assessment needs to become a tool not a distraction and Will Millard, lead author of the report explained why we shouldn’t test ‘soft-skills’ in Schools Week. Following the report’s publication, The Times highlighted the report’s stats about low teacher confidence whilst Schools Week and the TES focused on our proposal for a new test at the end of teacher training. Meanwhile The Stage highlighted our call on government to stop reporting the EBacc. Of course, it only took a few days for Head Teachers to start responding, first of whom was Bernard Trafford who argued in the TES that an assessment crisis is in fact exactly what we need. Head Teachers Allana Gay and Peter Hyman, as well as speaker, Jaz Ampaw-Farr also shared their thoughts on assessment in our special launch video. Three international case studies of Japan, Ontario Canada, and Finland. 1. Should we assess soft skills? Writing about his experiences in Japan for Schools Week, the report’s lead author Will Millard asks whether teachers in England should, like their Japanese counterparts, grade pupils’ soft skills. 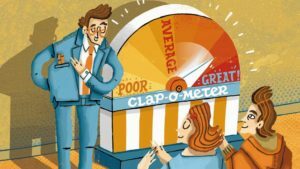 He argues that while concerns about a narrowing curriculum and teaching to the test in England are very real, grading ‘more stuff’ is not the answer. Rather, our report calls on schools to ensure teachers have the space and support to focus on providing pupils with diagnostic, formative feedback. 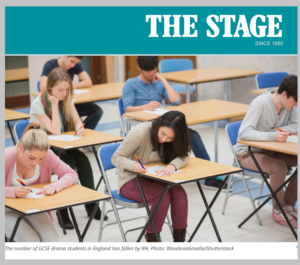 The Stage highlights our call to end separate reporting of the Ebacc. The structure of the Progress 8 measure means there is already sufficient focus on core subjects, but whereas P8 also leaves space for a broad and balanced curriculum, the EBacc exerts unhelpful pressure that too often narrows the curriculum. You can read LKMco and Pearson’s new report, here. Quite rightly, assessment for qualified teacher status is largely practical, based on observation and feedback over the course of the year and a final portfolio based assessment drawing on a range of views. However there are also certain key bits of content, for example about safeguarding responsibilities, SEND, and… assessment that we believe all teachers need to know. As Schools Week and the TES reported, Testing the Water therefore calls for initial teacher training to include a ‘theory-test’ that checks teachers have acquired the knowledge they need to fulfil their responsibilities.